The 1920s Silver Swinging Flapper Woman Costume brings a dress and headband. 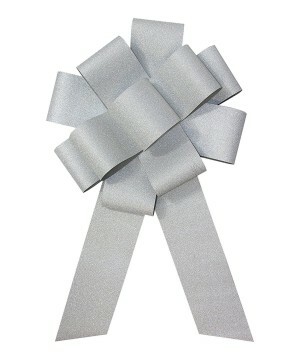 The Silver Bow 25 Inches brings one 25 inch silver bow. The Long Silver Women Ghost Wig brings one wig. The White And Black Beaded Silver Tibetan Necklace brings one necklace. 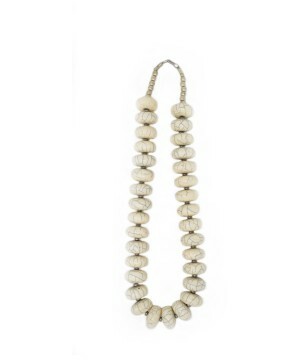 The White Beaded And Silver Tibetan Necklace Jewelry brings one necklace.